Product Note: The limited edition poster has SOLD OUT as of December 29, 2018. 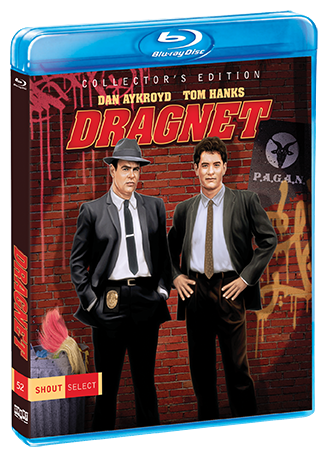 This is the city ... and only Dan Aykroyd and Tom Hanks can save it in this hilarious box-office blockbuster that pays homage to the famed original police dramas of the '50s and '60s. Aykroyd is at his comedic best as the namesake nephew of Detective Sgt. Joe Friday. 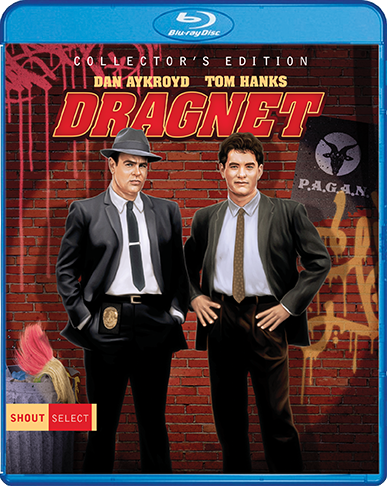 Like his uncle, he's a blue-suited, by-the-rules cop who reluctantly joins forces with his footloose partner Pep Streebek (Hanks) to rescue the City of Angels from the machinations of a power-mad Reverend and corrupt Police Commissioners. And those are "just the facts" of this hysterically funny action-comedy!